Skoda has launched their 2019 offensive by launching the Superb Corporate Edition at a mouth watering Rs. 23.99 Lakh ex showroom. The Superb Corporate Edition will be available in Petrol and in two paint shades, Candy White and Magnetic Brown. 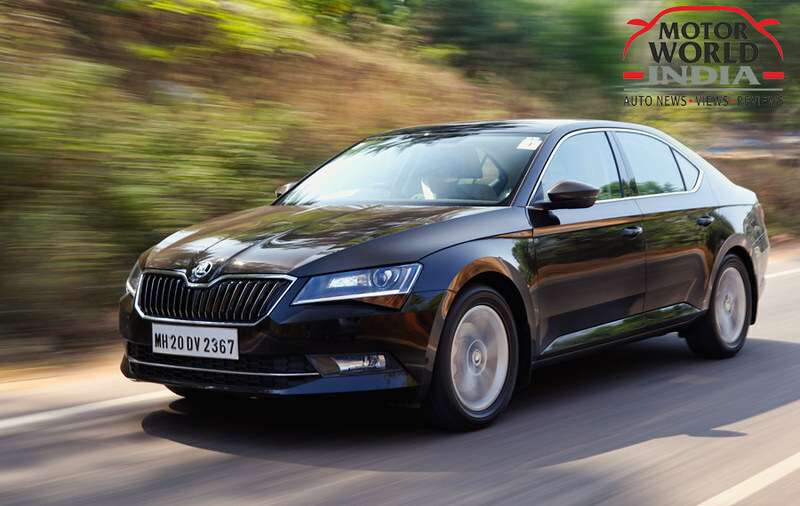 As per Skoda the Superb Corporate Edition serves to cater a demand for a modern emotionally-rich design, a high degree of functionality, generous proportions and dimensions, innovative safety solutions, superlative ownership experience, and unparalleled ‘value for money’ proposition. The Superb has been regarded as one of the most premium Luxury sedans in its class and with the introduction of the Corporate Edition it will be more accessible to perspective buyers. The Skoda Superb Corporate Edition comes loaded with features including eight air bags, AFS (adaptive front-lighting system) function, Amundsen infotainment system with Apple CarPlay, MirrorLink and Android Auto, 8 inch floating touchscreen display, three zone climate control, rear view camera with washer, multi collision brake system to name a few. The Skoda Superb Corporate Edition will be only available in the petrol option powered by the 1.8 litre TSi engine with 180PS of power and 320Nm of torque. Skoda claims a mileage of 14.64kmpl on this engine. This engine is mated to a 6-speed manual transmission. Skoda plans to get the Automatic transmission on the Corporate Edition by the end of this year. The Skoda Superb also comes with up to 625 litres of boot capacity that can be further expanded up to 1760 litres with the rear seats folded. There are other clever storage bits too on the feature list that include the easy open bottle holder with an anti-slip design, cooled glovebox and storage space in the front arm rest. Apart from this all Skoda cars come with the four year warranty programme with service package and also the four year 24×7 Road Side Assistance as standard. Additionally, customers have an option to purchase a 4 year service package at a nominal price which ensures a hassle-free ownership experience.